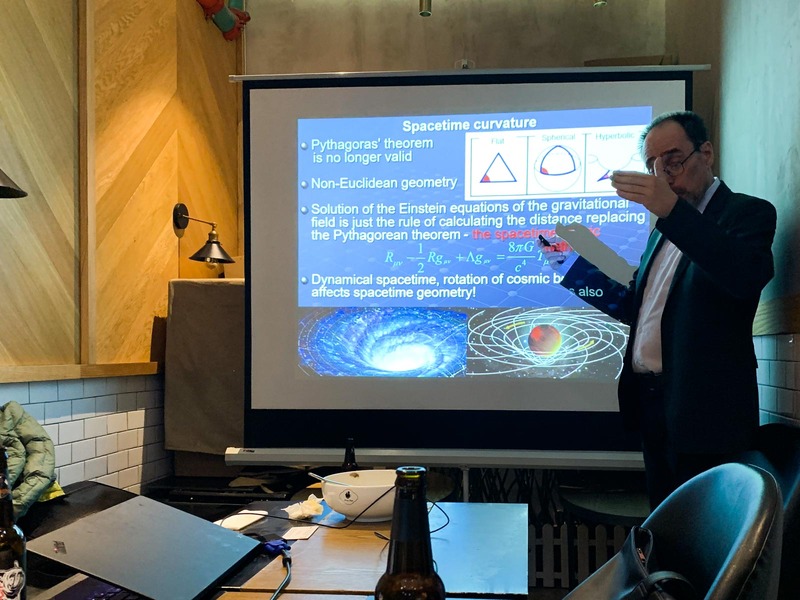 On January 22, 2019, ISSI-BJ organized an Understanding Science seminar on “Traveling to the Black Hole”. The talk was held by Dr. Pavel Bakala, a theoretical physicist of the Silesian University in Opava, Czech Republic, whose research is focused on the field of numerical relativity, advanced methods of relativistic raytracing and visualization in the vicinity of black holes and neutron stars. 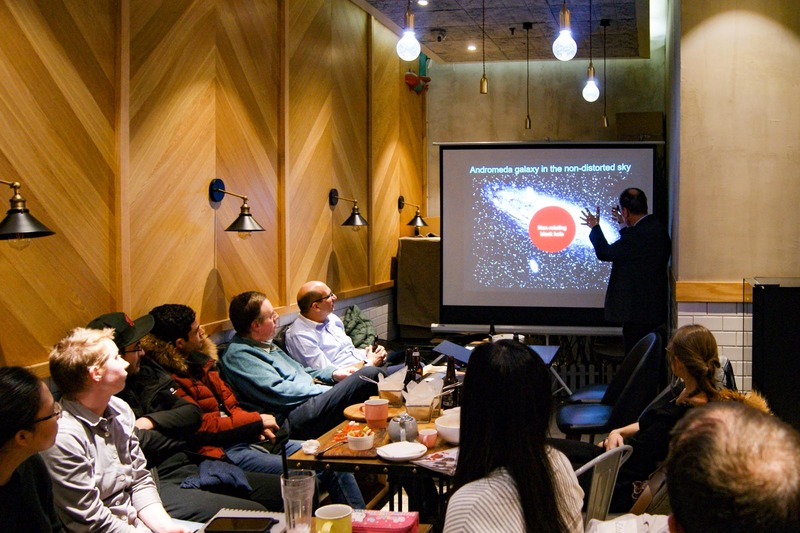 This time, the seminar took place at the Bunny Drop Café & Bar at Zhichun Road, Haidian Distric, Beijing. Pavel Bakala started the seminar by introducing the general relativity theory and the history behind its development. Einstein’s theory of gravitation implies the existence of black holes which were the main focus of the talk. Dr. Bakala presented the computer modeling of the sky view for the observers located in very close vicinity of black holes. As he explained, the curved spacetime near the event horizon of black holes works as an extreme gravitational lens with highly surprising and completely non-intuitive properties which are absolutely different from the common optics in the weak gravitational field of the Earth known from our everyday experience. Virtual observers travelling near a black hole could see the sky with radiating bodies in bizarre and entirely different shapes and colors as opposed to the view of the sky undistorted by the strong gravity. They could also observe an infinite number of multiple relativistic images, the Einstein rings deformed by the rotation of the black hole, black hole shadows and the color effects caused by strong gravity and the motion of the observer. In this fascinating seminar, Dr. Pavel Bakala presented the visualization of the sky for an observer at rest relative to a black hole, for an observer on a very low orbit around the black hole, and for an observer falling freely towards the event horizon. The talk brought together not only scientists, but also people from all backgrounds, fascinated by the topic of mysterious black holes.